The Texas Tribune reports that Lieutenant Governor Dan Patrick has finalized committee assignments in the senate for the 84th Legislature. Making good on two longstanding committees, Patrick both consolidated the number of committees and significantly reduced the number of Democratic chairs for those committees that remained. Three committees (Government Organization, Jurisprudence and Open Government) got the ax, and a further two committees (Economic Development and Natural Resources, respectively) were merged. This had the overall effect of slashing the total number of committees from 18 to 14. All three folded committees had been chaired in the 83rd session by Democrats, as did a further three committees. Thus, 1/3rd of the committees had Democrats at the helm, roughly the proportion of the chamber controlled by the minority party. Patrick kept State Senator John Whitmire (D-Harris County), the dean of the chamber, in charge of the Criminal Justice Committee, a position he has held for many years. He also tapped State Senator Eddie Lucio Jr. (D-Cameron County) as the chair of Intergovernmental Relations, a rather low-ranking post. Reportedly, this was an olive branch extended to the upper house’s most centrist Democrat. Lucio was the one Democrat this past week to vote for the elimination of the 2/3rds rule, as well as for the omnibus anti-abortion bill HB2 (the one Wendy Davis filibustered) in 2013. Among other important picks and retentions was State Senator Kel Seliger (R-Potter County) staying on as the chairman of the Higher Education Committee. Seliger has been, according to the Tribune article, an “occasional critic” of the Lieutenant Governor. He also is especially pro-Bill Powers and anti-Wallace Hall, for what it’s worth. 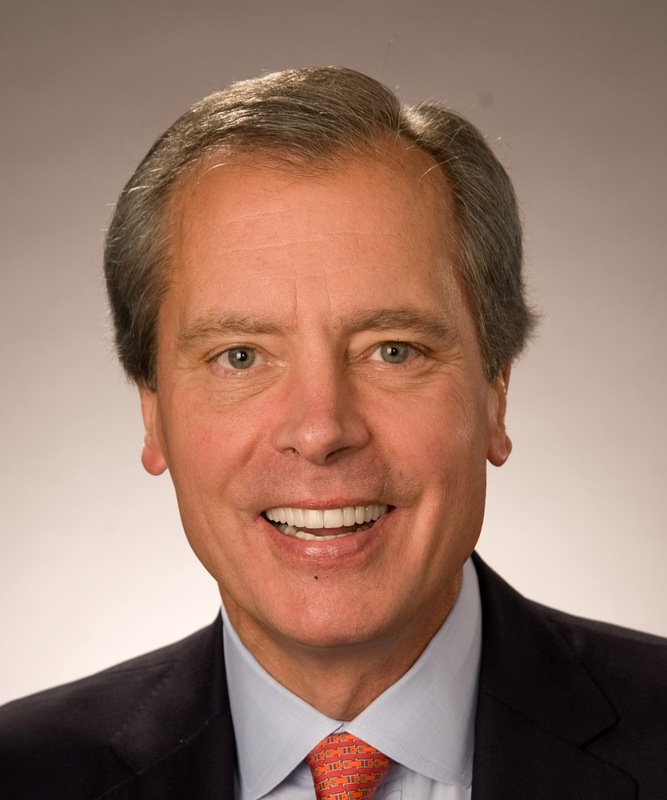 State Senators Robert Nichols (R-Cherokee County) and Kevin Eltife (R-Smith County), respectively, also retained their chairmanships (Transportation and Business & Commerce, respectively). State Senator Craig Estes (R-Wichita County), a two-time chair in the 83rd (Agriculture & Rural Affairs and State Affairs), was stripped of both titles. Harvey Kronberg at Quorum Report opined this could be because Estes was the sole Republican against the 2/3rds rule’s demise. Estes was replaced at Agriculture, Water & Rural Affairs by State Senator Charles Perry (R-Lubbock County), a freshman. I found it somewhat interesting and telling that the one freshman tapped was not a right-wing activist like State Senators Don Huffines (R-Dallas County), Konni Burton (R-Tarrant County) or Bob Hall (R-Van Zandt County), to name a few. Finally, all eyes were on the Senate Education Committee, of which Patrick previously chaired when he served in the upper chamber. He selected State Senator Larry Taylor (R-Galveston County) as the replacement, which garnered a wide variety of responses. Breitbart Texas appears particularly stoked. Many observers prognosticate that Patrick — now flanked by Taylor — will pursue a wide variety of educational reforms, including a more extensive use of vouchers for charter and private schools. Say what you want about Patrick, but his first few days in office have featured nothing but him staying true on his word. Unfortunately, that means he was not bluffing on the campaign trail about implementing a very conservative agenda if sent to high office. This is just a preview of things to come. 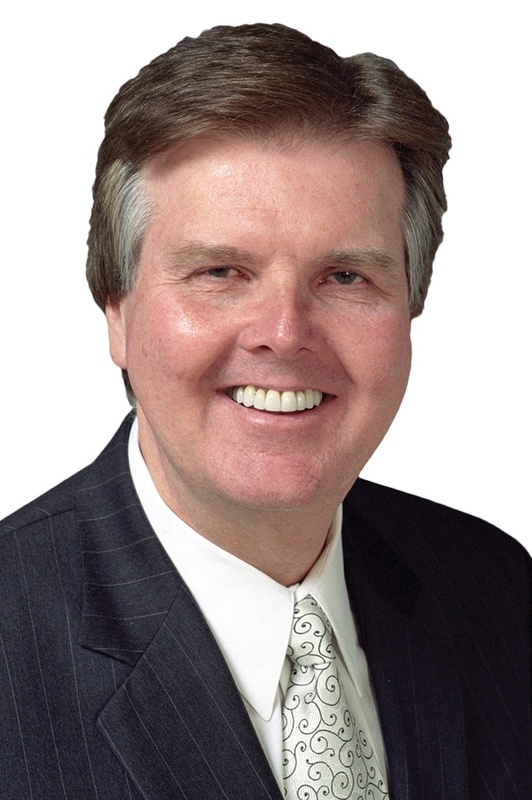 Patrick is looking more and more like a boisterous and powerful lieutenant governor (the anti-Dewhurst, if you will). Meanwhile, Abbott looks as though he may not continue Perry’s mega-powerful theme. Texas politics may very well regress back to the mean, with a more powerful lieutenant governor and a less powerful governor. Still, don’t be surprised if Patrick runs for governor (and wins) in 2018. The post of Lieutenant Governor, serving as the President of the Texas Senate, holds remarkable power over the state. Long thought to be the most powerful post in state government, even more than the Governor, its power has waned in the past dozen years as a result of both Governor Rick Perry centralizing power and Lieutenant Governor David Dewhurst’s milquetoast leadership. Dewhurst, long a steward of bipartisan statesmanship, has tacked far to the right in recent years because of pressure from the Tea Party wing of his party. State Senator Dan Patrick (R-Harris County), who defeated Dewhurst to become the Republican candidate for this post, embodies this extreme wing frighteningly effectively. Divisive, grandstanding, rabble-rousing and without any core principles, Patrick embodies all the terrifying aspects of James “Pa” Ferguson, Huey Long and George Wallace rolled up into one. He would make a poor Lieutenant Governor, not only because of his political ideology, but because of the very way he operates. Mean-spirited and a pathological liar, Patrick has a poor working relationship with many of even his Republican colleagues in the Senate. Observers opine that there is a possibility that the Senate may revolt against Patrick’s leadership, and strip away most of the Office of Lieutenant Governor’s duties. To do so would be a mistake; a statewide elected position to reign over the Senate is an effective guarantor that regional squabbles will not dominate the agenda. But that might just be what happens if Patrick is elected. His big priority appears to be what he calls “border security;” in actuality, a dog-whistle for xenophobic rhetoric directed toward the Hispanic community. He wants to put up a big wall and, in the style of Mitt Romney, make life a living hell for the undocumented immigrants already here. To accomplish this goal, Patrick just makes stuff up. The allegation that immigrants carry “third-world diseases” such as leprosy cross our borders? Completely fabricated. Those commercials of his that contend ISIS terrorists are plotting to swim the Rio Grande? An outright lie. We think he might blame them for the Kennedy assassination soon too. Patrick believes that abortions in all case should be disallowed, equates homosexuality with a mental disorder and supports the teaching of creationism in public schools. Most importantly, Patrick supports the abolition of the 2/3rds rule in the Texas Senate, which mandates that consensus must be reached before bringing a bill to the floor. Patrick, in a desperate attempt to mollify his Tea Party brethren, would seek to turn the chamber into a more dysfunctional mock-up of Washington DC. No matter your politics, this board strongly urges you, as a matter of principle, to not vote for Dan Patrick. If you are otherwise conservative, please consider the Libertarian candidate, Robert Butler, or just undervote. But we think that the Democratic candidate, State Senator Leticia Van de Putte (D-Bexar County), is the exact type of pro-business and centrist Democrat who could attract support from across the aisle. Van de Putte placates all the liberal causes by being supportive of gay marriage and opposed to onerous and unnecessary restrictions on abortion. But, more significantly, she is big on pro-business policies, be it simplifying the tax code, promoting a strong public school system or keeping Texas friendly for immigrant labor. Van de Putte is obviously the pragmatic and sensible choice in this year’s election. Some of Van de Putte’s policy proposals have been lacking in specifics, and she has taken actions — particularly when it came to aligning with the Democratic gubernatorial nominee — that we have disagreed therewith. But nobody is perfect and Van de Putte, at her core, is a very good politician who appears to legitimately care about her constituents. Van de Putte wants to calmly, and with great restraint, address many of the problems facing Texans in coming years. Patrick wants to burn down the barn to deal with the roaches, so to speak, and he would be willing to do it five times over to appease his extremist base. We have talked time and time again about clear choices in this year’s general election (indeed, there are a plethora of lousy candidates), but this one might just be the most clear. It’s definitely the most important. Accordingly, this board endorses Leticia Van de Putte for Lieutenant Governor. If, for whatever reason, you can’t bring yourself to support a Democrat, please consider voting third party or just undervote. The Texpatriate Editorial Board is comprised of Noah M. Horwtiz & Olivia Arena of Austin, George Bailey of Boston, Luis Fayad of College Station and Andrew Scott Romo of New Orleans. Editorials represent a majority opinion of the voting board. Is Joe Straus a liberal? My friend Paul Burka at Texas Monthly pegs this question, rather facetiously, in response to a recent blog post at Forbes Magazine. Spoiler alert, the answer is a total and resounding NO! The original post, entitled “Meet the Harry Reid of Texas,” is a ludicrous attempt to paint the Speaker of the Texas House of Representatives, State Representative Joe Straus (R-Bexar County), a bona fide Republican, as some type of closet Democrat. It is penned by a gentleman named Patrick Gleason, who (a cursory background search will reveal) is a staffer for Americans for Tax Reform, otherwise known as Grover Norquist’s group. The post, which Burka notes “has all the earmarks of a Michael Quinn Sullivan put-up,” delineates the pragmatic background of Straus. For those not familiar, he was first elected Speaker in 2009. At that time, a coalition of eleven moderate Republicans banded together with the Democrats to topple the regime of Speaker Tom Craddick. The anger against Craddick was not necessarily based on politics, but on leadership style. Craddick was brash, and railroaded over other Representatives in an attempt to wield absolute power. Because Straus and his band of allies dealt with Democrats, his underlying loyalty has been suspect by the most extreme Republicans ever since. He has a steadfast dedication to the important issues, such as roads and infrastructure. Meanwhile, he openly calls for the lower house to not focus too intently on controversial, us-versus-them social issues. For his part, Straus is better than his predecessor, and has always cooperated in good faith with Democrats on many important issues. However, at the end of the day, he is still a Republican. I would still prefer him to be replaced by a Democratic Speaker. And, in what should be most important for the Tea Party, he will –albeit reluctantly– bring up those controversial social issues when pushed by his members and State Leadership. 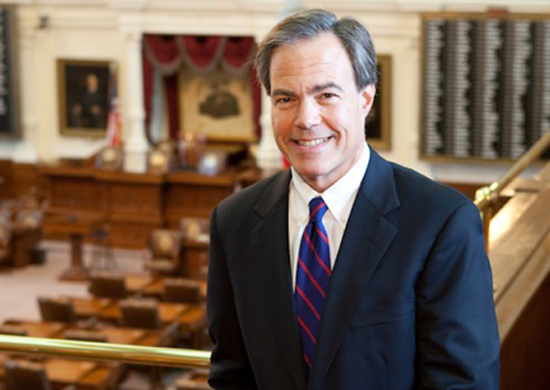 For example, the Texas House, under Straus’ stewardship, passed a Voter ID act. They also passed “Guns on Campus” last year, though the Senate did not. Ditto with onerous abortion restrictions last summer. Accordingly, why do these right-wingers loathe Straus so much? For one, his rise to power is disquieting to party orthodoxy. But, in my opinion, it is far more than that. This is about distrust of a pragmatic Texas Republican, one of the last ones left in high office, and his honest effort to run a better State. Not a more conservative State, just a better State. Burka, for his part, agrees at least one piece of sentiment expressed in the Forbes article; right-wing pipe dreams passed out of a Texas Senate controlled by a Lieutenant Governor named Dan Patrick would almost certainly go nowhere in Straus’ House. The post also referenced State Representative Jason Villalba (R-Dallas County), a vocal Straus ally and one of the few –perhaps the only– openly moderate freshmen GOP Representatives. Villalba predicted that these pipe dreams, such as anti-Common Core bills, would be “put on the back burner” and eventually aged to death on the calendar committee. In other places on the anti-Straus front, the Speaker has actually garnered some real opposition from among the House’s ranks. State Representative Scott Turner (R-Rockwall County) has announced a public campaign against the Speaker, though he still appears to be receiving only minimal support from usual suspects. Previous attempts against Sraus’ speakership have been spectacularly unsuccessful. Failed candidacies by both State Representative Bryan Hughes (R-Wood County) and David Simpson (R-Gregg County) were both aborted prior to actual voting. I still maintain a good amount of respect for Straus, but my opinion is that Burka gives him far too much credit to stand up to the powers to be on contentious topics. It was a lot easier for Straus to be a moderate when his companions were Rick Perry as Governor (pre Presidential campaign) and David Dewhurst as Lieutenant Governor. Next session, in all likelihood, his companions will be Greg Abbott as Governor and Dan Patrick as Lieutenant Governor. Three full steps to the right, maybe more. Straus folded like a cheap card table last summer when Perry began exacting pressure on him to pass the abortion restrictions. I have little doubt that he will fold once more when the time comes for Abbott to lay out his ambitious right-wing agenda. Just wait. Straus will, thankfully for him, largely placate his right-wing detractors. Unfortunately for the rest of us, it will be because of the dreaded 84th session.